The Public Broadcasting System, a U.S. government supported media outlet, is supporting the making of a documentary about World War 2, General Yamashita and the Japanese occupation of the Philippines. They have been in Mania recently looking for people who experienced and could recall and are willing to speak on camera about their personal experiences during October 1944 to the spring of 1945- i.e. from the time of American landings to end of battle of Manila. Ideally they have been looking for someone who can speak in the first person on camera about what happened to them or what they saw happen to others. This is to flesh out the visual background and to give the appearance of credibility to Allan A. Ryan's book “Yamashita's Ghost: War Crimes, MacArthur's Justice, and Command Accountability,” yet another reopening of the case against Yamashita to "illuminate crucial questions and controversies that have surrounded his trial and conviction, but also to deepen our understanding of broader contemporary issues - especially the limits of command accountability." Ryan, who clerked for Supreme Court Justice Byron White, was a U.S. Marine Corps judge advocate, as well as chief prosecutor of Nazis who fled to the U.S. and lied about their criminal past, has written an impressive and important book about the case in which he is unashamedly sympathetic to Yamashita and critical of the military judges and their superior, the imperious Douglas MacArthur. "Yamashita’s ghost lingers in the law. Born in an unprecedented and ambiguous charge by a vindictive American general, nurtured by a misbegotten trial by his subordinates, deferentially upheld by America’s highest court, shaped by two panels of American judges at Nuremberg, and incorporated into official American policy and international tribunals, it has loomed over the international law of war for too long." why is the PBS promoting Ryan now, when there are earlier treatments? (Yamashita's Ghost, is not the first book on this subject. In 1982 The Yamashita Precedent, by Richard Lael, tackled the subject of war crimes and command responsibility. The Case for Yamashita, by Frank Reel, came out in 2008. The Trials of Homma, Yamashita, MacArthur--by Lawrence Taylor in 1981; and The Tiger of Malaysia in 1953--by Aubrey St. Kenworthy.) What is it that Ryan is bringing to the party that the others have not? [c] why is the PBS, a U.S. government supported media outlet, putting up funds for the project? Where's the money coming from? [d] Why have they been cherry-picking, discarding completely any views contrary to Ryan? Do they have an agenda? You bet your sweet bippy they do! They probably needed some "new" stuff to broadcast. New controversies and conspiracy theories. And it gets interesting. Liberals love to rewrite history to fit their warped sense of how things should be. This is no different than those who work for socialism, gun control or other fantasies which history has proven not to work. Though it is a lot more serious than just a search for fresh content. PBS is a political animal. There's any number of books being written these days, so why is it that the someone within PBS has chosen “Yamashita's Ghost: War Crimes, MacArthur's Justice, and Command Accountability” on which to spend a couple of hundred thousand dollars? Because they will be using this documentary to teach us a lesson. We are in the midst of a massive revision of history in which America is to become the Evil Empire, Yamashita the honorable warrior you'd wish to have dinner with, Hirohito the quiet marine biologist, and MacArthur the evil mass murderer fired because he went postal on the peace-loving North Koreans. There's a bunch of people each of us know who wouldn't have been alive if the Americans had bypassed the Philippines. Maybe MacArthur should have set up a table somewhere in Pampanga, and invited Yamashita to parley over coffee and rice wine, thus arranging for Manila to be declared an open city. No one in a position of command in an army, from sergeant to general, can escape those implications. Indeed, the fate of some future President of the United States and his chief of staff and military advisers may well have been sealed by this decision. PBS sees itself as America's largest classroom, so who better to push your view that, say, in respect of innocent lives killed by drones in Pakistan, President Obama cannot be charged in the International Court of Justice under the "Yamashita Principle" because the "Yamashita Principle" comes from an evil lynchmob of a MacArthur puppet court that must be totally discredited. Who better to persuade the American public that they cannot trust the U.S. Military because WWII was not "A Good War" but instead was a Racial War. And here's an interesting one...particularly if John Kerry becomes Secretary of State - that John Kerry, under the Yamashita principle, is as responsible for civilians killed during the war in Iraq as Henry Kissinger is responsible for the deaths of tens of thousands of civilians during the bombing of Laos and Cambodia. 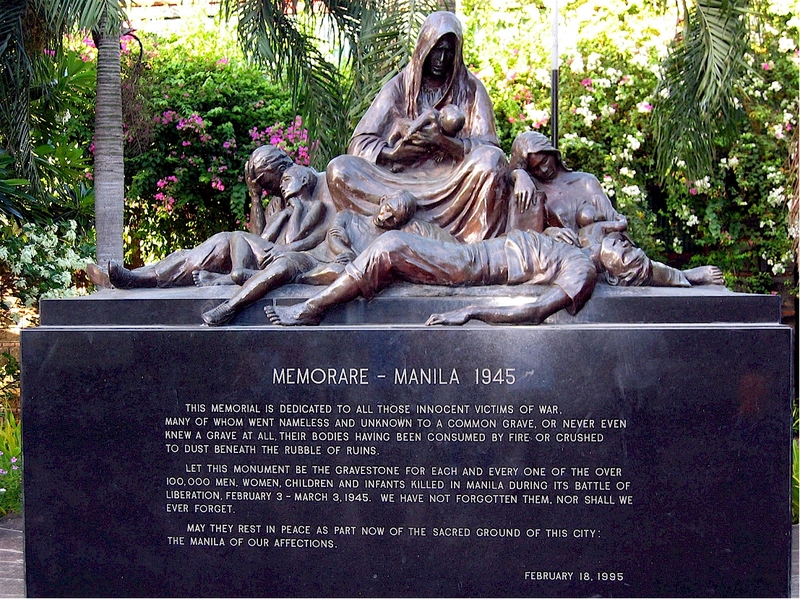 Although I was not interviewed for the NHK’s video titled “Remembering the Battle for Manila”, I nevertheless came out several times as the editor extrapolated scenes from previous NHK interview regarding Memorare-Manila on numerous events that was held on the liberation of Manila highlighting Japanese atrocities against non-combatants. On several instances, I was quoted out of context and my name was changed. I protested to the Japanese Embassy and the local NHK representative but to no avail. This video was repeatedly shown in Manila on the History Channel. Through the use of half truths, self-serving interviews, ingenious splicing of old footage...etc.. an erroneous impression on the Battle for Manila was achieved, insinuating the Japanese were acting in self-defence against the civilian population which they alleged was heavily infiltrated by armed guerrillas and worse yet, the false allegation that US troops also committed atrocities against civilians. Several years ago, the Japanese television giant NHK made a video titled, Remembering the Battle of Manila. It purports to have done research at the U.S. National Archives as a basis. It uses all of the tricks that televison has for implying authority when there is none that exisits. For instance, its claim to National Archives authority is proven by showing a sequence of someone walking through the stacks. The theme of the video is that the U.S. was totally at fault for the huge death rate of Filipino civilians. First, it states that U.S. forces surrounded Manila, preventing the Japanese forces from leaving the city, which was the reason that the Japnese had to fight there. We know that is false because the 1st Cavalry and 37th Infantry entered North Manila and did not start their effort to cross the Pasig River and move around to the east for several days, and the 11th Airborne was still well to the south and took several weeks of hard fighting to enter the Manila suburbs to complete the surrounding of the city. The two glider regiments of the 11th Airborne Division landed on Nasgubu Beach 70 miles south of Manila on January 31, 1945, and the 511th Airborne Regiment jumped on Tagaytay Ridge on February 3. The two forces joined up and started their advance on Manila. They were delayed for several days by heavy fighting near Nichols Field and Fort McKinley, leaving the back door open for two weeks for Admiral Iwabuchi and his troops to escape Manila, had they wanted to. Second, it shows the same combat film sequence several times - American troops lying on a street firing rifles over the heads of Filipinos also lying in the street. This is repeatedly described as Americans shooting AT Filipinos. Third, it admits that the Japanese were forced to kill some civilians, but only to prevent guerillas from infiltratring their defenses. Killing women, children, and babies in huge numbers somehow prevent the guerillas from infiltration? These are just a few of the egregious statements made in this Japanese video. To my knowledge, it has not been shown on U.S. television. I suspect it was primarily made for consumption in the Philippines and other Asian countries. At the time I reviewed the video, I wrote to a number of people and stated that if this video was ever shown on U.S. TV we would have to initiate a passionate campaign against it to set the record straight. If PBS is now to pick up the cudgel for the Japanese, then it is time to start a wide ranging campaign against this distortion of history by a U.S. government supported media outlet. The Yamashita people did come to see me and interviewed me on the Philippine campaign, the Battle of Manila, the war crimes trials, memory of the war etc. I gave them the best I could, indicating particularly that the atrocities in Manila were not committed by crazed men but men following orders. I also tried to stress to them that Iwabuchi and Yokokayama were in touch with Okochi and Yamashita respectively, although the radio communications were not perfect. I gave them a copy of my article on the Japanese side of Manila published a couple of years ago, and also stressed that Gen. Muto told other war criminal suspects not to admit guilt and thus safeguard the reputation of the Japanese Army. I told Allan (Ryan) that I believe Yamashita knew what had happened - I will try to find my source on this and send it to him. So I hope I have done my part. Actually, they were referred to me by the National Historical Commission last September...(private comments deleted)...so I couldn't say no. The following was received for publication from Mr. PETER PARSONS, War Correspondent, Author, Historian and Documentary Film Maker. Peter has done extensive research at the National Archives, locating many documents never before published or taken into account. I was interviewed by them also. I found them to be totally convinced already in their views of Yamashita's total innocence. I argued a bit with them, but I sense their view is fixed and permanent and that their mission to make a video of the innocent Yamashita. They will give token mention of atrocities just for authenticity. But they are not looking for alternate views of Yamashita; rather I think they are looking for any corroboration of their own already fixed views. Hey Registrar....You mentioned that Japanese General Muto and others were concerned about the reputation of the Japanese Army. I would think that the reputation of the Japanese Army had been well established in 1937 at Nanking and "embellished" a hundredfold in the following years by their consistent, brutal behavior wherever they set foot. If not official policy, then this behavior, evidently, is ingrained in their "DNA". Just my humble. In April of 2011, I wrote an editorial for Beyond the Wire, the journal for civilian POWs in the Philippines that highlights what is happening here. There are many academics who are trying to rewrite the history of the Pacific war, pointing at the U.S. as the culprit. Here is that editorial. The number of people with first-hand knowledge of WW II is diminishing rapidly as the GIs who fought in the battles and the POWs who suffered in captivity decline. 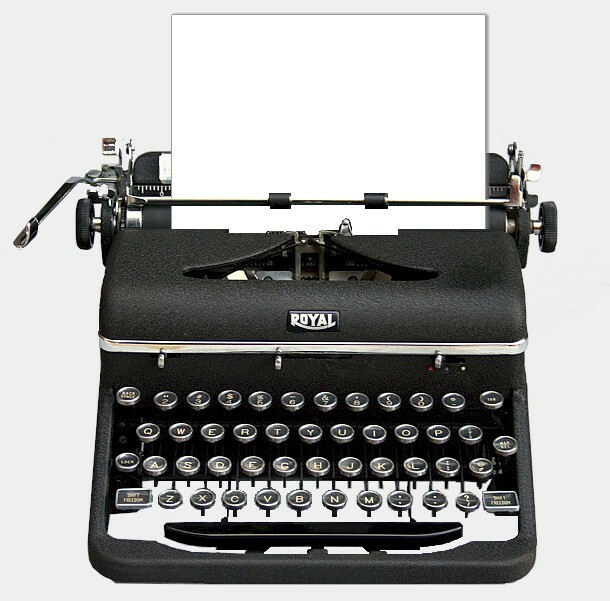 We now see a new breed of authors writing books about their fictional personal experiences. Also, there is a new breed of academics intent on rewriting the history of the war to reflect a bias that casts us as the aggressors rather than the victims. We can start with the Japanese. There is a documentary made for the History Channel by NHK called Remembering the Battle of Manila which blames the United States for the destruction. It asserts that the battle would never have occurred if American forces hadn’t surrounded the city, preventing the Japanese troops from evacuating it, and that the killing of Filipinos was only required to prevent guerilla infiltration (80,000 murdered including women and children ). The December 23, 2010 issue of Shukan Shincho, the second largest weekly magazine in Japan, made a scurrilous attack on Bataan Death March survivor Lester Tenney, presenting outrageous lies about the Japanese treatment of American POWs. It claims that the Death March was far less rigorous than described, and was the Americans fault for destroying their own vehicles, which could have been used to transport them. And then it states that the tortures are strictly American fabrications. The Japanese attack on Pearl Harbor should be seen from the perspective of Japan being a victim of western oppression. The U.S. military and its veterans constitute an imperialistic, oppressive force. War memorials, such as the Punchbowl National Memorial Cemetery are symbols of military aggression and brutality. Conservatives and veterans in the U.S. have had an undue and corrupt influence on how WWII is remembered. Veterans' memories of their own experiences in the war are suspect and influenced by their own self-delusion. The US government, sponsoring academics to cast Americans as the aggressors in World War II, funded this conference. There is only one way to fight this corrosive history and that is to document our own experiences and to broadcast them. That is the purpose of this newsletter, and we encourage anyone who has a story to tell to offer it for us to publish. Please send your stories to one of the editors shown in our masthead. Furthermore, we should make our anger at this “progressive” reinterpretation of history known to our Congressmen and Senators. Eliminating funding of the National Endowment for the Humanities would be beneficial. Hey Registrar....My former niece in law's grandfather, a member of the 31st Infantry Regiment (US) went into the POW pen at Cabanatuan, weighing 150 pounds and came out of Bilibid in 1945 tipping the scales at 95 lbs. I ask you if this was delusion on his part or a flat out fact according to his medical records? Multiply his experience by a few thousand others and we are probably looking at something more akin to the facts then what evolves from some "workshop" comprised of many individuals who don't even know which end of the barrel the projectile exits. Again, only my humble. Keep up the good fight. Unfortunately, since I'm incredibly swamped with various projects right now, I'll have to let my forthcoming book on the Battle of Manila, to be published by Penguin NAL/Caliber in late 2013, serve as my major contribution to the fight. Since the book is from a major publisher and will hopefully reach a large audience, it may serve as the Little Boy or Fat Man that can obliterate whatever offensive the Yamashita documentary folks or other far left, liberal revisionists here in the States are planning. Just about the only thing I can tell everyone right now is that PBS itself isn't responsible for the genesis of, nor financing of this Yamashita cleansing project. Outside of Sesame Street or the McNeil Lehrer news show, PBS really doesn't have any organic, or in-house production capabilities. I'm guessing that most, if not all, of what the documentaries they are are "outsourced." In other words, they depend on outside production entities to finance and put together their doc programming. They just air it. These outside programming entities raise the funds themselves, usually by grants from foundations or even sometimes through donors, sponsors and investors, corporate entities and rich individuals alike. PBS doesn't even pay Ken Burns - if you notice, his films are always made "thanks to the generosity of Chevrolet" or "a grant from the Arthur Vining Davis Foundation" or what have you. So us, the American taxpayers, are not commissioning this project. Furthermore, do we even know how legitimate this production is? Most people like to say "I'm with PBS" or "We're shooting for the History Channel" or whatever in order to gain credibility with whomever they are contacting. This whole thing could be an expensive home movie bankrolled by the Yamashita family for all we know. Beyond this Sunshine, who appears to be the Manila intermediary, has anyone had any contact with the film crew? Perhaps Rico got some names or a business card when they interviewed him? What is the production company called? If we learn that, we could find out who they got a grant from or who is paying for the production. Of course, such sleuthing would help us get to the bottom of this project, but if they raise the funds and are successful in convincing the PTB at PBS to air the thing, it'll see the light of day. Sadly, the latter isn't too difficult nowadays, seeing as how an alarming majority of programming VPs and other execs are left-leaning and also have no clue about anything historical. Plus, they'd likely jump at the chance to bash MacArthur. I can speak from experience on these items because I'm currently producing a documentary myself, on the Davao POW escape. I received a grant from a foundation in Texas to finance the film, which will be produced in conjunction with the World War II Foundation and will likely air on PBS late next year. Likely, because while the possibility exists for us to air the film on the History Channel, Nat Geo, Discovery, etc., I'm personally leaning towards PBS because I'll have more editorial control and won't see my hour-long masterpiece whittled down to 43 minutes by the cable TV necessity of commercials. It is really hurtful to see how history can be rewritten to suit the slant of the times. And they are believed by a world of non-readers. I am certainly not surprised that PBS would be involved, and the Japanese have constantly revised their deadly incursions into China and the Far East, as well as Pearl Harbor. So why not blame it on MacArthur individually and the US armed forces in the Philippines as a group? We, who were part of the times, especially are resentful at the revisionist history and the public will buy it for lack of history being taught otherwise. Right now, 3 US senators, Feinstein (D), Leahy (D) and McCain (R) have called for a retraction of the Hollywood movie accusing the US military of using torture as a major method used in the capture of Osama bin Laden, as well as other major inaccuracies. Whom do you think will win? The Japanese textbooks have also been rewritten, hiding the involvement of the Japanese, and today's younger generation does not believe that the Japanese did anything wrong. I watch the History Channel frequently, but this new version of The Battle for Manila has not been shown, I believe. I really hope these people come to visit me, but I seriously doubt it. I mean if you are going to write a book and do a movie about MacArthur, Yamashita, and the battle for Manila why would you go and research the papers of the General, the war, and the war crimes trials? That would be stupid. "...We lived at 1196 MH DelPilar. This is one block from Dewey Blvd., and in line with the Mitchell Apts and one block from the Syqiua and Admiral Apts - both of which were being used by the Japs during the occupation. I was going to LaSalle during this time and the schools closed just before the first air raid on Sept 21st 1944. It was then the Japs started building pill boxes at many of the intersections. In January they mined many of the streets with artillery shells buried vertically. They also put aerial bombs in the ground floor of all the bigger buildings with fuses attached. Most of the Japs in our area disappeared. We did have a battery of 120mm Dual purpose guns dug in on Dewey across from the Apostolic Delegation, with many 25mm AA automatic weapons supporting them, all manned by Naval forces. These were the guns that fired on Santo Thomas and drew a lot of counter battery fire from the US. On February 6th the Japs came to our house and told us they were going to burn all the houses and to get out. They did not bother us and we went to Remedios Hospital, which was two blocks from us. We stayed there until the artillery fire became very heavy and left on the 12th to dig a hole where we hid until we were liberated by the 37th Div on the 16th. The word in our area was watch out for the Makapilis. In my rambling way this supports the conclusion that someone decided to prepare to fight for Manila at least five moths before the battle. This latest crop of pseudo-historians never ceases to amaze. From my vantage point, and yours as well in all likelihood, what interests me are not so much the intellectual gyrations and contortions they put themselves through to fabricate their fictions, but rather what motivates them to expend so much effort to prove the unprovable. I fear that you are probably correct when you suggest that behind all this is a childishly resentful desire to discredit General Douglas and by implication and connection, the entire Pacific War endeavor as well. As you are quite aware, this has been going on since the 1940's and the generational single-mindedness of these creatures I find to be absolutely breathtaking. Their hatred for the American Republic seems to be boundless and to hear them tell it, the heroes of the last century were the criminals who created the Soviet Union and the American traitors who wanted to hand us over to their mercy. Their current idols are named Che, Fidel, Chavez, Sukarno and, sad to say, Obama - a countless list of Third World tin pots and butchers whose behavior is entirely our fault of course. I wonder how the new movie "Emperor" is going to portray the historical role of the despicable Hirohito? I make no claim to a being a historian of those times and I leave it up to those of you who are qualified to document the truth of what happened. I do know what I lived through however and no amount of revision can change the biographical truth of the events I experienced, and this includes the carnage that I witnessed and survived in February of 1945. I swear to you, it made no difference to us if the shells raining down on us were American or Japanese - we all knew who was responsible for the horror and that if the shrapnel didn't kill us, the Japanese extermination squads we were running from certainly would. What those scholars you contend with cannot erase from my memory are the names of those who were butchered. I'm not surprised that this Ryan Book and documentary is an attempt to link the Yamashita execution to the current trials of the 6 terrorists at Gitmo that are self admittedly linked to the 9-11 murders of civilians in New York, Pennsylvania and Washington D.C. But underlying all this is the relentless effort of the left to destroy the history and character of Douglas MacArthur in order to protect that of FDR. If Yamashita is innocent then MacArthur is, by extension, the War Criminal and not Yamashita. And that conclusion is necessary in order to preserve and protect the truth about FDR and the consequences of his policies from his election in 1932 all the way through his death in 1945. Between 1932 and 1936 FDR slashed the War Departments budget by 20% all the while Japan and Germany were not only feverishly expanding their Armies and, in the case of Japan, invading their neighbors. From the time of MacArthur's arrival in the Philippines in 1935 and all the way up to December 7, 1941 both MacArthur and Quezon pleaded repeatedly for military supplies, armaments and munitions and their pleas were largely ignored. By 1938 the US Army's strength was on a par with those of Greece and Paraguay, 175,000 ill-equipped men compared to the many millions of well armed soldiers under Hitler and Hirohito. And even worse, while MacArthur loyally stuck to the War Plan Orange strategies even after December 7, he was never informed that FDR and the Pentagon had decided to abandon the Philippine strategy called for in War Plan Orange and the Philippines (even the far left writer Wm. Manchester in his Pulitzer winning book, American Caesar, acknowledges that decision) and focus on instead saving Britain. 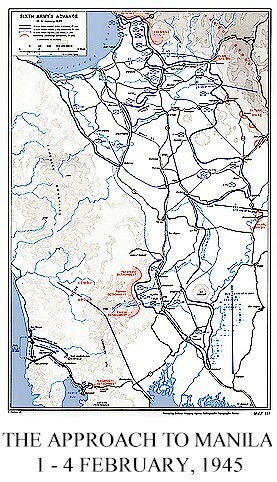 Had he been so informed of that critical decision that he was not to be re-supplied and re-enforced with fresh troops, it is inconceivable that MacArthur would then have led his troops into the dead end trap that was the Bataan Peninsula and Corregidor as was specifically called for in War Plan Orange. The Orange strategy was for American and Filipino troops to fight a delaying action on Bataan and Corregidor until they could be re-supplied and re-enforced with fresh soldiers. And apparently, as part of that over all plan to denigrate MacArthur there is also a new movie coming out about MacArthur with Tommy Lee Jones playing the General. Just from that casting choice, without disparaging Jones considerable acting talent in any way, his persona and particularly his manner of speaking are the very antithesis of MacArthur's, so one can only imagine how the film will portray the General himself. "As we speak....the Government is seeking the death penalty for six defendants charged with terrorism-related offenses under the MCA. The cases....with distant echoes of the High Commissioner's ballroom in Manila. Perhaps, when all is said and done, General Yamashita will finally be able to rest in peace." The reviewer is in the office of Appellate Defense Counsel in the Department of Defense, whose job is to get these six terrorists off. Independently, I too came upon the review by Samuel T. Morison, (of the Office of the Chief Defense Counsel, U.S. Department of Defense) of Allan Ryan's Yamashita's Ghost: War Crimes, MacArthur's Justice, and Command Accountability. Morison establishes exactly where Allan Ryan's book is coming from, and where he's heading with the documentary he's been filming lately in Manila. As we speak....the Government is seeking the death penalty for six defendants charged with terrorism-related offenses under the MCA. The cases....with distant echoes of the High Commissioner's ballroom in Manila. Perhaps, when all is said and done, General Yamashita will finally be able to rest in peace. The reviewer is in the office of Appellate Defense Counsel in the Department of Defense, whose job is to get these six terrorists off." Recently, Bin Laden's son-in-law was captured, and an indictment was unsealed last Thursday in the US, requiring that he appear in a Federal New York courtroom this week. That is a civilian New York Federal courtroom, external from all forms of a military justice system. Sulaimon Abu Ghraith is an unlawful enemy combatant, captured on foreign soil while engaged in hostilities against the United States. He belongs in the military justice system and detention facility established by Congress in accordance with the Constitution and the Supreme Court. Yet President Barack Obama has brought Sulaiman Abu Ghaith, son-in-law of Osama bin Laden, to face a civilian trial on U.S. soil in federal court in New York City. In so doing, President Obama has defied the express will of Congress, which already refused to transfer foreign terror suspects from the Guantánamo Bay prison to the U.S. at the beginning of Obama’s first term. The decision to bring Abu Ghaith to New York is just the latest in a series of executive actions taken by President Obama that contradict the explicit intent of the legislature. It is also an action in pursuit of a policy doomed to fail. The extreme left has continued to resist the idea of separate military and civilian justice systems in the war on terror (a term the Obama administration long since abandoned). The Obama administration’s embrace of that view led it to propose that Khalid Sheikh Mohammed, the alleged mastermind of the 9/11 plot, be tried in New York City in 2009. What we have here is a "gotcha", based upon a false meme that MacArthur's system of Military Justice (as exemplified In Re Yamashita) was so horrifically abhorrent to fair-thinking jurists, that the line of authority established under it cannot be relied upon to prosecute enemy combatants through a system of military tribunals, and that the United States must instead prosecute terrorists through a civilian system in accordance with the desires of Eric Holder's Department of Justice that considers terrorists as criminals, not as enemy combatants. When one plays an entire country for suckers, which is what the revisionists are doing, what's a few white lies to a bunch of foreigners, ex-pats, survivors of a massacre, the memory of a mere 100,000 plus civilians, and a bunch of retired old guys and gals. Hey EXO....For the life of me, I can't see trying this guy in a civilian court. It doesn't make a lick of sense. It's no different than if he had killed somebody in a liquor store stick up. It's absolutely crazy.